Women's Silver Celtic Designer Pendant : LOVE2HAVE in the UK! 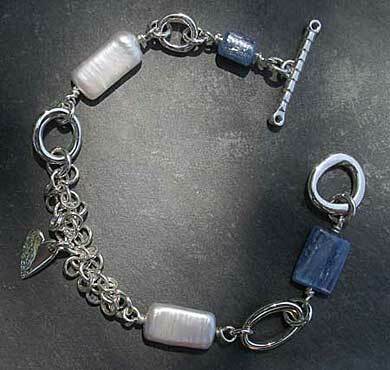 This particular women's silver Celtic designer pendant is the second choice of matching necklace for the denim silver bracelet with pink pearl. 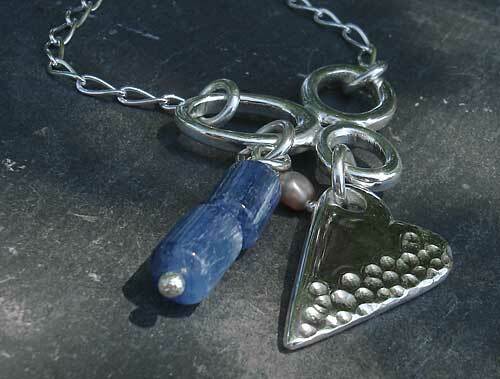 However, this piece is a pendant on a chain. 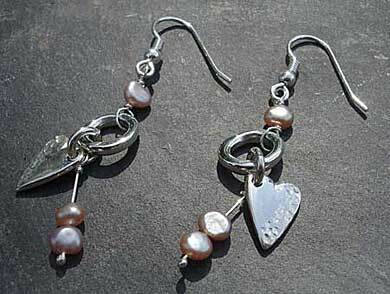 It features the same polished silver heart and the subtle tones of kyanite and pink pearl, a lovely combination piece. 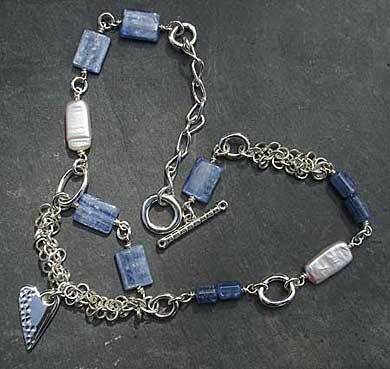 Kyanite is a mineral. Again the silver parts of the jewellery feature large roundels and eyelets but this time they are conjoined to make a beautiful designer styled shaping upon which the beads and silver heart dangle. The pendant has a 4cm drop in total height and comes in a polished finish on a 16-inch silver chain.